Northwest Allen County Schools of Fort Wayne, Ind. 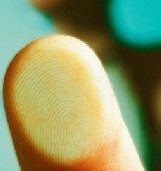 are installing fingerprint scanners that students will use to pay for the lunches, according to a local news station. School district leaders say the new technology will reduce the risk of student’s losing or having their ID card stolen. The system will also reduce clerical errors and speed up lunch lines so students spend less time waiting in line, and have more time to eat. The company responsible for the installation, IdentiMetrics, said a fingerprint is scanned and unique points are indentified. The points are then turned into an encrypted identification number. No fingerprinting images are stored in the software. The exact start date has not been set, but district officials say student ID cards will still work and parents who do not want their child to participate can choose to still use that payment method.